A special thank you also goes to Davis Drive Elementary School for their successful food drive. The school collected almost 5,000 pounds of food for our pantry again this year. 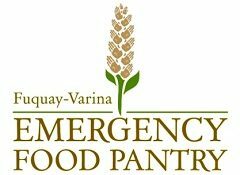 The citizens of Fuquay-Varina, Holly Springs, Willow Spring are grateful for your hard work and generosity.